Did you hear that ruckus on Thursday night? 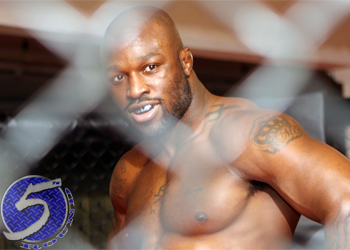 It was the collective ‘OH CRAP’ screams from Bellator MMA, Spike TV and Viacom executives when they saw Muhammed “King Mo” Lawal (Pictured) unconscious on the canvas. King Mo claimed to not have any game plan for Przemyslaw Mysiala in last month’s Bellator debut. After easily disposing of Mysiala in the Light Heavyweight quarterfinals, he must have thought it was safe to go with that same non-strategy in the tourney’s semifinals against Emanuel Newton. Why not? King Mo entered the scrap an astonishing 14-to-1 odds-on favorite. Well, one spinning backfist later and Viacom’s golden boy went stiff as a board. The good news for King Mo, he made #7 on SportsCenter’s Top 10 last night. The bad news, he was on the business end of the highlight reel KO.